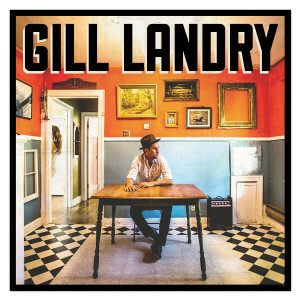 Gill Landry is a man of breathtaking talents, being a multi instrumentalist, a hugely talented songwriter, the possessor of an expressive warm vocal style, master arranger and for the last ten years or so a member of the mighty Old Crow Medicine Show. This is Gill’s third solo album and whilst different to the previous two is (at least!) the equal in quality. Whilst it is generically different to the OCMS’s music, the roots thread is still strongly in evidence on this album that creates an atmosphere of reflections and philosophies on love, lost love and unattainable love, mixed in with a few brief notes of optimism, or at least hope. The songs are strong, the vocals always excellent and the arrangements fascinating on this album that rarely reaches mid tempo but has a built in power that only the most talented can infuse their work with. The variety in the never overdone instrumentation gives this brilliant album a further lift with the occasional horns, violin, deep bass and keyboards that stretch the perfectly rounded, often sparse sound that flows gracefully throughout the ten excellent songs. Another contender for ‘Best of 2015’ lists!